Do you need extra help with your studies? Additional support can be provided to students who have a learning difficulty or disability. If you have a Statement of special need, a learning difficulty assessment or an Education Health Care Plan (EHCP) please provide this to us for our guidance on your needs. We provide access to assistive technology and software which can help with typing, reading and research. Our specialist tutors carry out assessments for exam concessions, dyslexia and dyscalculia and recommend strategies to enable you to make independent progress in learning. We employ specialist staff to support those with hearing or visual impairments and speech and language needs. Students requiring additional support will often be allocated a specific Learning Support Assistant to work with them ensuring consistency throughout the College day. Twice a week we hold a successful autistic spectrum support group where students socialise and try out new activities. When applying, please let us know your needs by ticking the appropriate boxes on the application form. 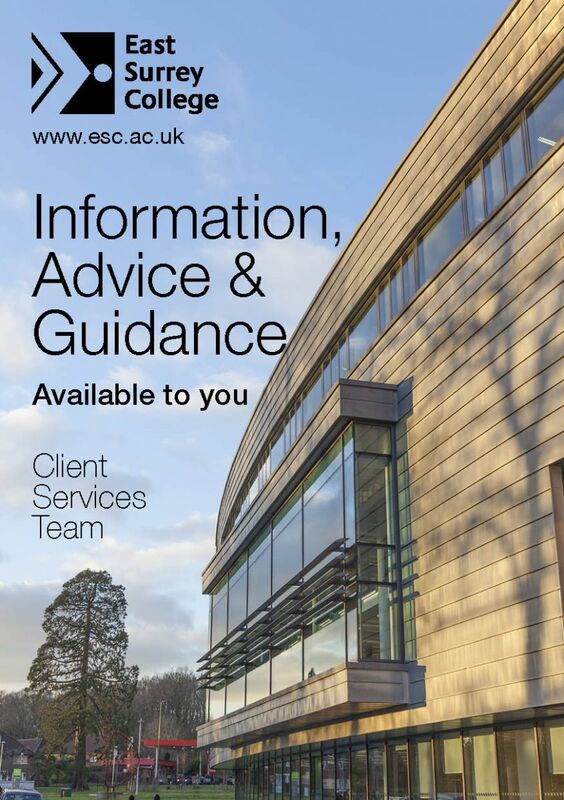 The Client Services team are available to help and support you. We offer a free information, advice and guidance service, helping you to explore your options, discuss your aims and reach your goals. These services are confidential and respect the privacy of all individuals. Information will only be disclosed with your consent, subject to legal requirements and data protection. For more information on the support services available, click to view the Information, Advice & Guidance guide below.